BVCNC – Healing the Mind. Strengthening the Brain. Healing the Mind. Strengthening the Brain. Providing Neurofeedback and Counseling Services to the entire Delaware Valley, including West Chester, Downingtown, Exton, Media and northern Delaware. 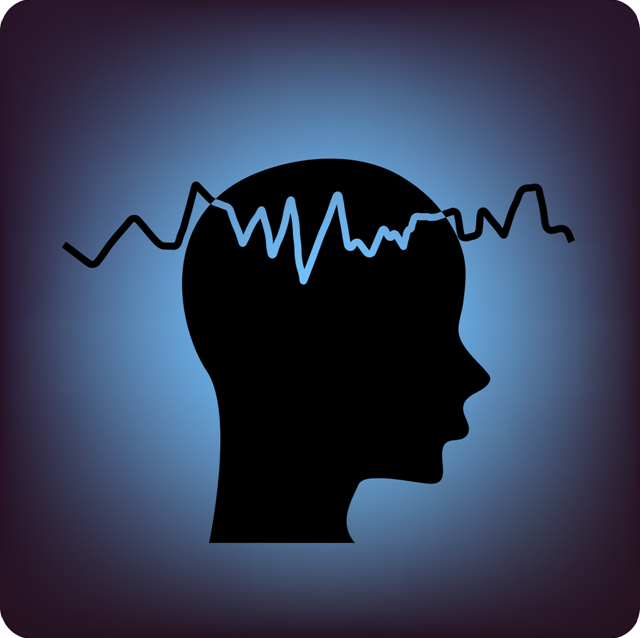 Using neurofeedback, you effortlessly learn to re-condition your brain to correct unbalanced brainwave activity. You can think of neurofeedback as “brain training.” Like a muscle, your brain gets stronger the more you train it. When the brain works better, you feel better and do better. Sometimes talking to someone and organizing your thoughts can help. At Brandywine Valley Counseling and Neurofeedback Center, we will work with you one-on-one, in couples' sessions, or in family sessions to help you get back in touch with yourself. Eye Movement Desensitization and Reprocessing (EMDR) is a technique which helps people heal from symptoms and emotional distress of traumatic life experiences. Studies show that using EMDR can allow people to heal more quickly and completely from trauma than therapy alone. One type of neurofeedback, EEG Biofeedback, uses non-invasive sensors placed on the client’s scalp and ears, which record their brainwaves, and send this information to a computer. Another type of neurofeedback, Hemoencephalography (HEG) Biofeedback uses an infrared sensor which records brain metabolism and blood flow. In both cases, the client watches a video on a screen in front of them, and when their brainwave pattern (or brain metabolism) moves in a positive direction, the screen becomes brighter, which rewards them. The client learns how to achieve a state of focused relaxation over time by being rewarded for a positive brainwave pattern. Prior to EEG brainwave training, clients are evaluated using a quantitative EEG analysis which generates a map of brainwaves. This shows what brainwaves need to be trained and in which parts of the brain. Neurofeedback has been successfully used to treat such conditions as: Anxiety, Mood Disorders, ADD/ADHD, Learning Disabilities, Addictions, Post-Concussion Syndrome, Pain/Headaches, Sleep/Fatigue, and more. Neurofeedback has an 85 – 90% success rate in reducing symptoms of ADHD, and has been deemed a “Level 1, Best Support Treatment” by the American Academy of Pediatrics for ADHD, which is the highest level of support. Research using neurofeedback with Autism shows promising results, such as some students improving sufficiently to be mainstreamed into regular classes. In cases such as behavioral problems in children (e.g., temper tantrums, aggression), neurofeedback can help children learn to control impulsive behaviors. For depression, a gradual lifting of mood and energy can occur. In cases of anxiety, people can experience decreased frequency and intensity of anxiety. For migraines, there’s a reduction of intensity, duration and frequency, even for people resistant to medication. Experience has included conducting individual, couples and family psychotherapy. She specializes in working with clients with trauma and abuse backgrounds, and works extensively with anxiety disorders and life transitions, including with the LGBT community. Holly Grimm is a trained Eye Movement Desensitization and Reprocessing (EMDR) clinician, and has worked within the medical field using mindfulness strategies for pain management. She has presented at both the Eastern Psychological Association and the American Psychological Association regarding attachment patterns and family relationships. She is a member of the National Association of Social Workers and the Association for Applied Psychophysiology and Biofeedback. Experience has included working at both public and private mental health agencies conducting individual, couples and group psychotherapy. He has supervised and developed clinical programs for a number of facilities. His extensive experience includes working with a wide variety of issues including trauma, addictions, and stress management. Todd Grimm is a trained Eye Movement Desensitization and Reprocessing (EMDR) clinician and the recipient of multiple Chester County Annual Awards in Outstanding Service, Leadership, and Advocacy. He belongs to the American Psychological Association, the International Society for Neurofeedback and Research, and the International Society for the Study of Dissociation. Our Philosophy is one of inclusion: we believe that mind, body and environment are connected. If one of those systems is under stress, all of them will be affected. By working with your other health care professionals and treating you as a whole person, in a setting of acceptance, compassion and cooperation, we can help you to create the healing and empowerment you need and deserve in your life. We Can Help. Neurofeedback training has truly changed my life. Certain situations and experiences that I used to cause me unbearable anxiety, no longer have that effect on me; I feel virtually no anxiety, period. Along with lowering my anxiety to an easily manageable level, my overall confidence in life has been escalating as well. It almost seems/feels too good to be true; almost like magic, but it works. No words can express the gratitude I feel for the neurofeedback therapy offered by BVCNC. I have been in a 4-year long battle with Lymes disease. I am now able to focus, get my work done efficiently and my memory is returning. Neurofeedback is an investment in my health and is giving me my life back. I believe this treatment is life altering and would highly recommend it to anyone struggling with neurological issues. At BVCNC, not only did I find the services absolutely exceptional in healing my brain from post-concussive syndrome, but from depression, anxiety, and ADHD as well. Believe me it is worth it to use as a catalyst to get your life back, no matter what the brain ailment, in a brief time. I am especially and wholeheartedly grateful for Holly and Todd as they helped pick up the pieces of my life (and mind) and put them back together! My child doesn't feel impulsive any more, doesn't feel the need to fidget like before, feels that it's easier to focus. He now goes to bed promptly, totally on his own initiative. He’s definitely more organized and just feels a huge difference in his attitude, actions, and ability. He'll pick up a book and read on his own, which he’s never done before neurofeedback. It's just all as different as night and day. As a PA certified guidance counselor, I know what is expected of children in the classroom and was quite worried about my daughters with ADD. After neurofeedback, my older daughters earned "advanced" scores on the PSSA test and has mostly high A's in her classes. And my younger daughter LOVES school now! The girls looked forward to going to neurofeedback, and several months following treatment they are not only maintaining what they gained, but continuing to grow.